1. 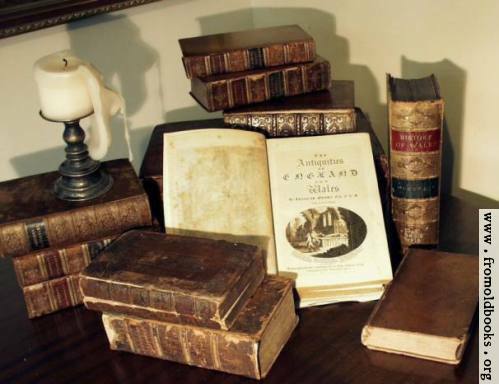 France interacts with other Biblical texts, even those which are later in the canon of Scripture. Thus, a theme which Matthew will cover (e.g. the necessity of repentance) will be substantiated by 1 John's similar theme. In other words, France doesn't just read and interpret Matthew in its own context apart from the rest of the Bible but he also uses the broader canonical context, especially those that further explicate a particular theme found in the latter of the New Testament in his exegesis. This is one of the hermeneutical principles that makes one a fine exegete in my opinion! 2. France doesn't get wrapped up in minutia. Sure, he does address small translation issues and the like, but usually they are kept in footnotes rather than the body of the text. This makes for an enjoyable and a relatively quick read as opposed to a slow and boring read. 3. France both reflects on the theology a text teaches as well as it's practical application for the 21st century. This is what separates his commentary from most others. France is not afraid to address the "theological problem" that a certain text may suggest. Although he at times will eschew a particular question as inappropriate for a text to "deal with", generally he addresses the theological problem head on. France also seeks to give relevance to texts that don't immediately seem to have any relevance for today. Thus, the pastor will find this a great blessing for sermon preparation. France has wrote an excellent commentary that ought to be commended for the seriousness by which he approaches the Scriptures. The NICNT seems to be a really solid commentary series. I have not read or used the Matthew one, but all the ones I have read/used have been great. I have a few of the NICNT series. This is a helpful review getting at sensible points. Thanks. Intervarsity Press also has a Matthew commentary by France. It isn't as extensive as the NICNT series. I am currently reading Matthew's Tyndale New Testament commentary by France and I am really amazed by the fine exegesis of R.T. I have been mainly interested in understanding the context of the OLIVET DISCOURSE (chapter 24) and France does a great job setting the context of the chapter and explaining it in a very masterful way. He doesn't run from the text by any means, but sticks to it like a dog to his bone. 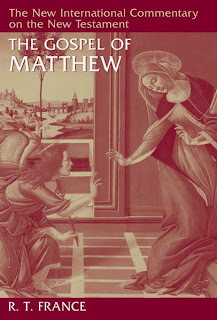 That's really good!I will do my best to secure this copy because is the most complete commentary of Matthew. By the way, thank you guys for this blog which I just discovered. I will try to be here more often.